An Evening with Dr. Eric Plasker November 2nd, 7pm at the South Bellevue Community Center. Don’t miss this chance to learn how to Live Your Ideal 100 Year Lifestyle! 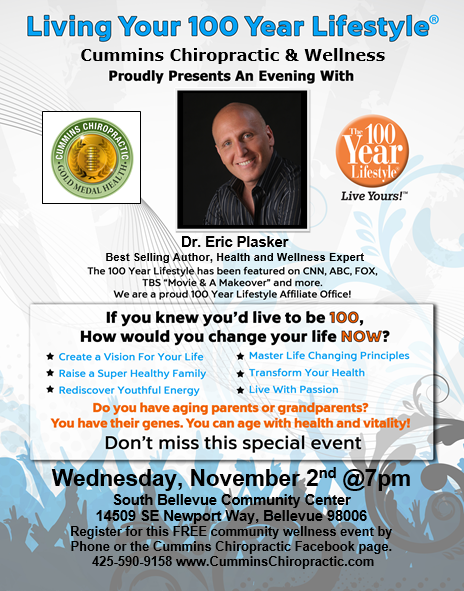 Best selling author, health and wellness expert, Dr. Eric Plasker is coming to Bellevue!